Photo of Chris Stone by Patty Morgan | Western PA is busy this weekend with big meets! Nick Lane, a freshmen at Bowling Green High School in Ohio, set a national freshmen class record this past Friday at a University of Findlay high school meet in the 25 pound weight throw with a mark of 64'7.50". The performance also ranks him US #12 currently and #2 in the state of Ohio. 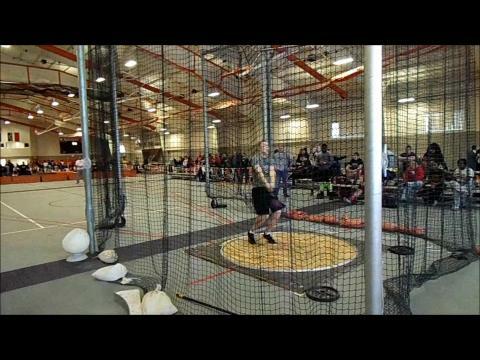 Bowling Green (OH) High School freshmen Nick Lane set a national freshmen class record in the weight throw with a mark of 64'7.50" at the University of Findlay High School meet on February 1st, 2014.